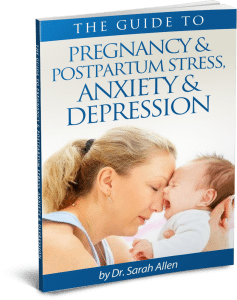 Are you an expectant mother struggling with feelings of depression and anxiety or perhaps you a new mother feeling that motherhood is everything but what you expected it to be like? We’ve all seen the pictures of the glowing new mother holding her newborn baby, who is nursing without difficulty as he drifts off into a peaceful sleep. Although that idyllic representation of motherhood is lovely, it is hardly the norm. To begin, many expectant mothers experience significant emotional problems during pregnancy. Many women fear that these feelings may continue or worsen after the birth of their baby. Some women experience very difficult labors and the experience can have a huge effect on how she feels emotionally in the weeks or months afterwards. Most new moms are sleep deprived, frustrated and overwhelmed by juggling the challenges of a new baby with their other obligations. Some experience irritation toward their partner for not offering more support and most find themselves wishing for more hours in the day. First, take a deep breath, give yourself some credit for all you do, and recognize that you are not alone. Between 10 – 20 percent of women suffer from pregnancy anxiety and/or depression and one in five mothers report experiencing some level of postpartum depression (PPD). It is not only PPD that is common, many women experience anxiety, racing thoughts and even intrusive thoughts that harm is going to come to the baby. Having a baby – whether it’s your first or forth – requires a significant amount of energy and is a major life transition. Although it may not feel like it, you are likely doing many more things right than wrong. When you are feeling overwhelmed it is hard to spend time looking all over the internet for answers so I have written a guide and screening tool that can point you in the right direction. 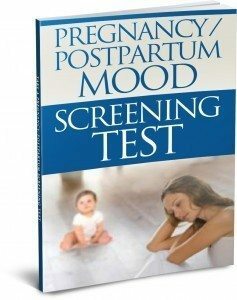 Section 1 – discusses the types and symptoms of pregnancy and postpartum mood disorders. Section 3 – highlights self-help strategies and things you can do to start to feel better. I think the booklet can provide a great starting point but if you are experiencing a lot of symptoms, they just don’t seem to be going away or if the self-help strategies are just not enough, you may want to think about how counseling can help. In addition to 20+ years of working with mothers and families, I have also served 15 years as the director of the Postpartum Alliance of Illinois, a statewide nonprofit organization that provides support to pregnant and postpartum women and their families. My extensive experience will help you create strategies to cope with feelings of guilt, sadness and anxiety, adjust to the life transitions that baby brings, and balance the needs of your family, relationships, career and self. I go into more details on the Pregnancy & Postpartum Treatment page and there are also many posts about pregnancy and postpartum issues on my blog. If you have any questions about how counseling can be useful to your particular circumstances. Please call me on 847 791-7722 or email me below. No two moms experience is the same but everyone can benefit from support.